More consumers rely on coupons to make purchases. Our premium and exclusive coupon book will entice new customers to enter your doors as well as to remind current clients to visit more often. We all know one awesome fact! Coupons drive people to your business! When you advertise in Red Bee Press, your coupon has a prolonged shelf life of 3 months which gives your message repeat exposure and thus more time to generate responses. Result? More business for you! Coupons attract new and return customers, allow you to promote a new product or service, and deepen and reward customer loyalty. Coupons give you the much needed feedback for you to measure your ROI. Simply use a specific code for your ad and you can track the response! Don’t miss out on such an efficient way to connect with your current and prospective customers! 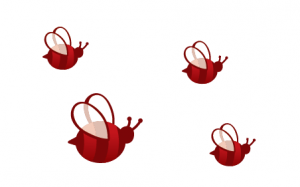 Red Bee Press reaches 245,000 locals and tourists at a cost of less than 1¢ each! With RBP’s coupons your offer will never print behind someone else or get lost in the shuffle of nondescript look alike coupons. This gorgeous magazine is organized in its design, making it a far more enjoyable experience for our readers and your potential customers. This translates to increased readership and greater coupon redemption. 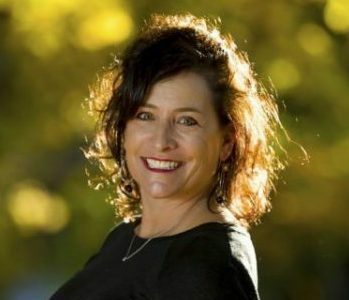 Owner Debbie Agnew has over 14 years of experience in advertising and marketing in Central Oregon. And our Art Director, Elissa Davis, has 30+ years of experience in marketing and graphic design. Our customer service, attention to detail and quality is outstanding. 98,000 total distribution in a SINGLE publication reaching locals and the visitor market. RBP has the largest circulation in Central Oregon. Red Bee Press’s direct mail advertising reaches every home in Bend, Redmond, Sisters, Black Butte, Three Rivers, Alfalfa, Deschutes River Woods, Tumalo, Eagle Crest, Madras, Terrebonne, Powell Butte, Madras and Sunriver. In La Pine & Prineville we reach homes that have an average income of over approximately $48k. We are in just about every Hotel, Resort, Chamber Office, Visitor Center and many other strategic locations where visitors are. We can easily take your logo and create a custom ad with an enticing coupon for your business. Our graphic designer will contact you to start creating the ad of your dreams. Not all ads need to have a coupon, promote your brand by spreading awareness, no coupon needed. Click here to find out what we need for to create your ad. 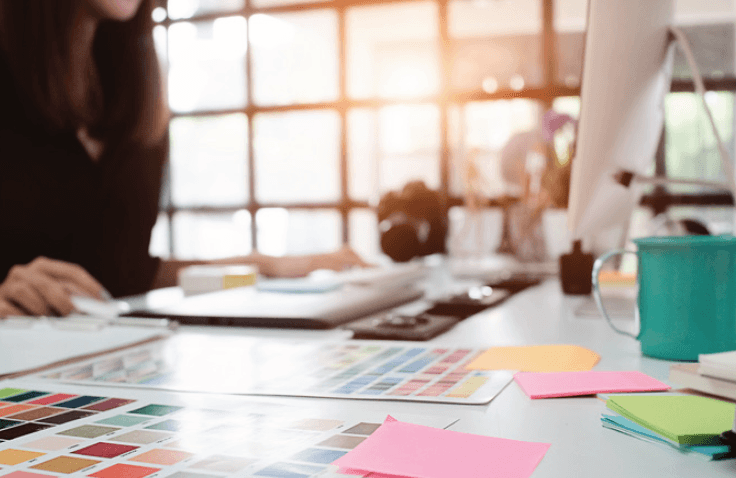 We deliver satisfaction and work closely with you and your branding to assist you with your marketing goals and help you come up with a strategy that will be the most effective. We are part of the Central Oregon Community and highly value long-term relationships always striving to keep our clients happy. Once we receive the ad we will contact you to confirm ad is correct. Click here for ad specifications. Click here to email your ad. Arbor 1 Tree Service has loved working with Red Bee Press! Elissa is always so responsive, kind and creative. 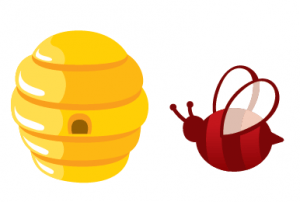 If you're a local business looking to gain exposure in the Central Oregon market, I would highly recommend advertising with Red Bee, we have nothing but good things to say about them. 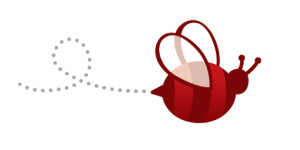 We've had a great influx of business from our most recent coupon (at least two dozen claimed in a 2-3 week period) so I think we've found a great audience through Red Bee. The graphic designer was very easy to work with and I'm fairly picky! I did quite a bit of research on how to best use my advertising dollars and chose Red Bee Press and I have not been disappointed! 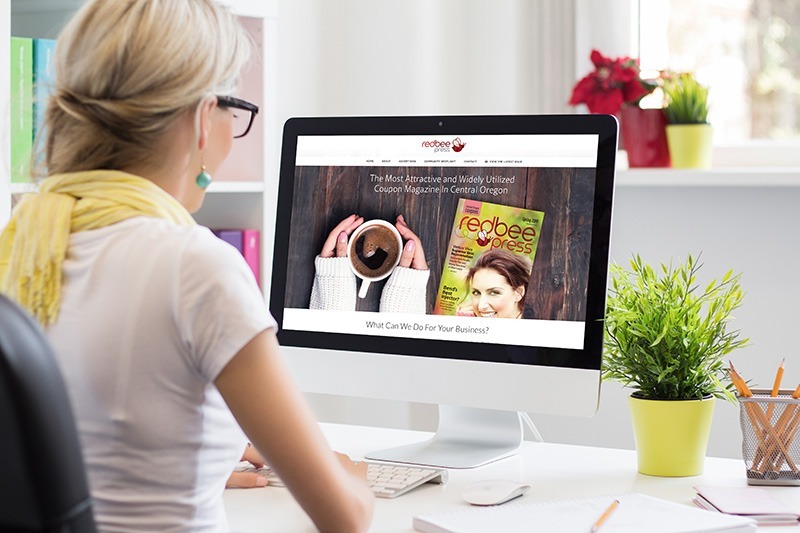 Red Bee Press delivers exactly what they promise and that’s important to a small business. We highly recommend them to anyone looking for the best place to advertise. They have been professional and honest in all business dealings plus they are extremely knowledgeable and helpful with the design of our ads. We’ve had great return on our investment and have no regrets. If you’re looking for a successful and cost-effective way to advertise call Red Bee Press today! My company, Pointe Pest Control, has been using Red Bee for quite some time and we continue to be impressed. As the marketing specialist it is important for me to analyze all of our ad spend, and the ROI with Red Bee has been excellent. The distribution and exposure are great, and I can't say enough about their customer/advertiser service - they're very timely, efficient and easy to work with. I highly recommend them! I have enjoyed working with the great gals at the Red Bee. This being my first year in business I couldn't have done it without them. Organize Plus has received numerous clients due to the advertising. It's been a great experience and look forward to more advertising in the future. Red Bee Press Coupon books go where your customers go. Red Bee Press is locally owned and operated by women since our first issue in the Fall of 2012. We have grown our distribution every year and we now have the largest circulation in Central Oregon of 97,000 copies. The owner and proprietor of Red Bee Press is Debbie Agnew. Debbie has worked for a visitor publication and sold radio advertising in Central Oregon for over a decade. She gained a large client base of business owners, many who have become good friends. She loved seeing clients get results from their advertising dollars. Clients mentioned that they really didn’t know which part of their marketing was working because it is hard to track. With her experience in the visitor market, Debbie realized that there was a need to reach visitors as well as locals and wanted to create something that business owners would be able to track. And thus, Red Bee Press coupon book was born. Elissa has been a graphic designer for over 25 years. Elissa’s career has thrived in both the structure of large advertising agencies as well as the flexible world of freelancing. Elissa is passionate about her work and loves creating fabulous designs that fulfill all her clients’ expectations, as well as put detailed and organized thought into their projects. 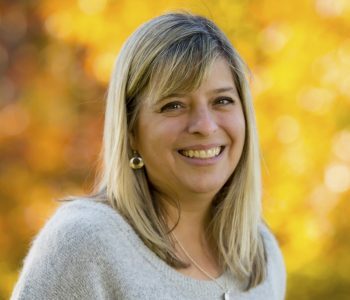 Elissa has worked for a vast range of clients – from corporations like eBay to many smaller businesses like the Nature Center and Oregon Observatory in Sunriver. Elissa has been the Creative Director for Red Bee Press since they started in the fall of 2012 and loves it! 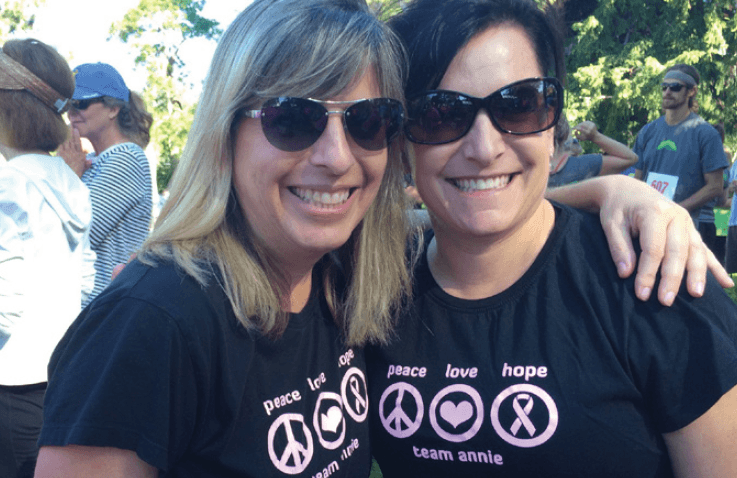 Angie joined Red Bee Press as a bookkeeper in 2017. She brings over ten years of accounting, business management and bookkeeping experience to Red Bee Press. 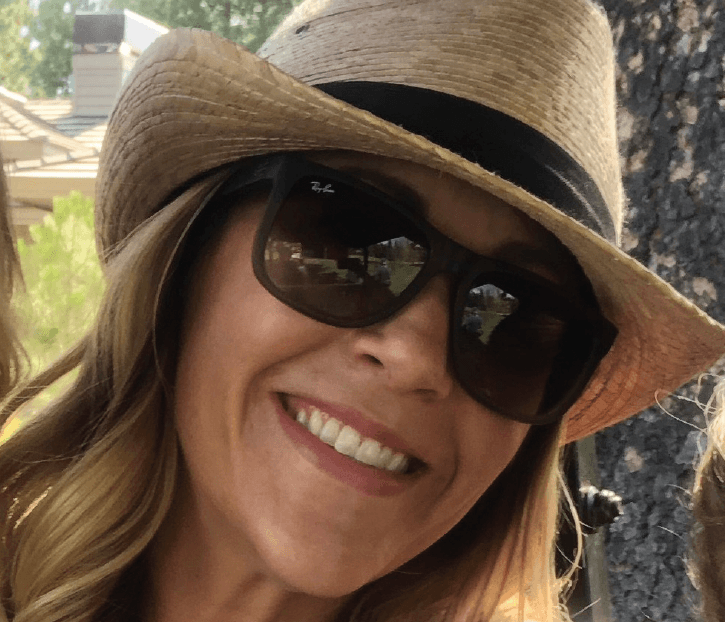 She has resided in Bend for over 12 years and loves to get outdoors with her husband and two children. Education – BS in Marketing, Southern Oregon University. Red Bee Press started in the Fall of 2012. Join our mailing list to receive your own Red Bee Press coupon book. © 2019 Red Bee Press. All Rights Reserved.